"I make decisions very fast,” Eric Cheng tells us at one point during this interview. “That is my strength.” Friendly and easygoing in person, there is little sense during our shoot that this entrepreneur is a man in a hurry. But the evidence of his inclination for swift action is actually all around us—we are talking in a 1940s inter-terrace house along Makepeace Road, a property he decided to acquire on the spot during his first viewing last year. Paying meticulous attention to aesthetic detail is Eric’s hallmark as a real estate developer. With his experience in architectural planning, he is able to personalise his properties through conceptual planning and by matching them to concepts and designs. The eldest of four children, Eric grew up in Chinatown, where his business instincts were evident from a young age. He remembers walking past money changers as a child, and being intrigued by the difference between the buying and selling prices of different currencies, and how these numbers would fluctuate over time. “I saw that there was an opportunity to make a profit there,” he recalls with a laugh. Without a family business to inherit or access to capital, however, he had a long way to travel before he would become a full‑fledged entrepreneur. At age 20, he became an air steward, reckoning that it offered a comparatively high salary for someone his age. After eight years, he segued into real estate, making his first million within his first two years as a property agent. Steadily climbing the ranks of his new industry, he was soon managing a team of 7,000 agents. I have very strong instincts when it comes to houses; they communicate with me. In 2009, he launched his own property agency. Eventually, he expanded his business into a group of companies that also dealt in real estate consultancy, valuation and asset management. Along the way, he won a clutch of accolades such as being named Young Entrepreneur of the Year at the 2011 Asia‑Pacific Entrepreneurship Awards, one of the Ten Outstanding Young Persons honourees by non‑profit organisation JCI Singapore in 2011 and the Platinum Category Award at the 2012 Promising SME 500 Awards. He also wrote a couple of bestsellers on property investment and business leadership. After selling off his real estate group to an SGX-listed company for $45m in 2014, he took a short hiatus to spend time with his family. Last January, he listened to his heart and launched real estate development company Sevens Group with a focus on building luxury homes. By focusing on tangible design and the intangible sense of ease and comfort that it can evoke, Eric is also pre-empting the short lifespan of trendy technology. This is another area where his experience has proved valuable. “We were one of the first to install touchscreens in our properties, and now everyone is doing that. If I focus solely on technology, I’ll end up selling people products of the past because technology always expires,” he explains. That doesn’t mean that he is averse to tapping on the power of technological innovation. Quite the contrary, in fact-—Eric has a diploma in computer studies and one of his earliest businesses was a firm that developed software and hardware to improve his property business operations. These days, his interest in technology is focused on the bleeding edge of change. In May 2018, he acquired Japanese foreign exchange trading company, FX Trade Financial Co, and its affiliate cryptocurrency trading company, BitTrade. That made him the first foreign investor to hold a 100 per cent stake in a Japanese Financial Service Agency-licensed regulated exchange, of which there are only 16 in Japan. A few months later, digital asset exchange Huobi Japan took a majority stake in BitTrade. Through this strategic partnership, both parties plan to aggressively scale BitTrade in terms of its range of services and global reach. That same year, Eric also started a venture capital fund, CapitalX, to invest in different applications of blockchain, the technology at the heart of cryptocurrencies. A digital ledger comprising cryptographically linked data stored across a decentralised computer network, blockchain’s capabilities for providing a transparent and secure database is increasingly viewed as a potential game changer for many industries. 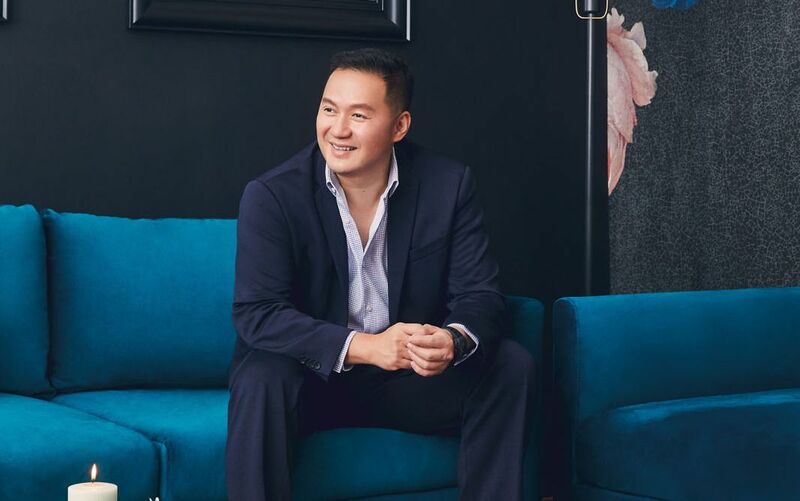 This is another instance of his penchant to make quick decisions, and while building luxury homes and investing in blockchain may seem like very different businesses, both ventures reveal an entrepreneur who is thinking long-term. With blockchain, Eric believes that a new technological paradigm will soon emerge. For the present moment, though, Eric has a much simpler goal in mind. “I want to spend more time with my family. Every successful man has a loving family behind him, and I am very blessed to have their support”.